Constant dynamic flow with music at a background. The pace is suitable for everybody’s needs and goals. Different variations are offered and physical adjustment to improve your body’s alignment and keep improve your own practice. Pranayama and meditation are part of this practice too. My friendly community classes can be tailored for all levels, ages and abilities. New students are welcome to join the course at any time during the current term and only pay for what remains of the term. These classes are open to everyone including beginners so everyone works to their own level. To encourage commitment and to make them viable, students are asked to book the classes in are run in conjunction with the academic term hence there is are breaks in classes for the main school and college holidays. Classes are charged at £10 per class when paid termly in advance. Students wishing to attend two community classes per week either in Notting Hill or Shepherds Bush can do so both days a week can do so at a reduce rate of £9 per class payable termly in advance. New students can start at any time during a current term and only pay for what remains. If a class is missed students are welcome to attend any of the classes I run in this way in Shepherds Bush and Notting Hill in order to make them up. In cases where a student has difficulty paying for the current term in advance, please discuss with me paying for the course in instalments. Our lunchtime version of vinyasa flow, this energising class builds strength, endurance and flexibility, and is a great way to refresh and recharge in the middle of the day. Suitable for all levels except complete beginners. 45 minutes of sweaty strength building, body stretching movement. Yoga is always open to everyone. 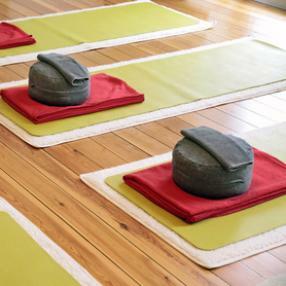 Om shanti Yoga offers Vinyasa class and Pregnancy class in London Bridge. New type of yoga with meditation based on dynamic Ashtanga yoga. Ashtanga Yoga is powerful form of yoga that helps to build body strength, develop your flexibility and maintain good balance for your body and mind. You can learn basic postures which makes foundation of yoga and focus on the postures of women hormone which helps to improve our women hormone imbalance. Class will be in a small group of up to 12 people with plenty of individual super vision and guidance. Suit for All levels, welcome to beginners. Be happy, stay healthy physically and mentally, and maintain your inner beauty. Yoga flow classes are open to all regardless of whether you are a beginner or experienced practitioner - they offer a deep reaching series of dynamic and static postures, emphasising the unity between breath and movement. Each class offers a complete Yoga experience, designed to gently stretch and strengthen the body, open the heart and expand the mind. Through practice we learn to release tension or resistance in the body. This has an effect of calming the mind, expanding our awareness and connecting us to an unending source of inner peace. As a result we begin to feel a deep sense of physical freedom and can relax into the flow of life with greater ease. As our flow deepens we begin to live from an intuitive space, a space that is full of clarity and vitality. A space where anything is possible! This dynamic, flowing class moves you steadily through breath-synchronised vinyasa sequences designed to create heat, gradually preparing your body for the most challenging before gently being led to savasana, the final relaxation pose. 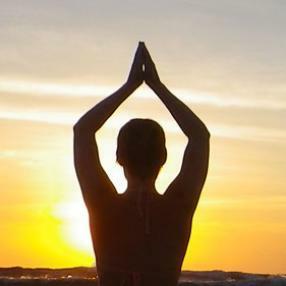 You will leave feeling rejuvenated, energised and with a deep sense of balance and peace within. Suitable for all levels except complete beginners. This class is taught in a very cosy studio in the arches near to Burgess Park in Camberwell, south London. The studio is fully equipped with all props and underfloor heating, a real feel good factor. This class caters for beginners or practitioners of Yoga. The class is aimed to focus on postures, breathing and flexibility as well as making your core strong. I do a short mediation and relaxation at the beginner and end of each class to get you calm and grounded. Alignment-oriented practice that emphasizes the forms and actions within yoga postures. A gentle flow is incorporated as a transition between each posture, with a focus on synchronization between movement and breath. Emphasis is placed on strength, flexibility and balance as well as concentration and breath control. Classes are based on physical postures (asanas), deep breathing, mindfulness and listening to the body. The hall is located on the second floor up the stairs. Vinyasa Flow is dynamic style of yoga in which the movement is coordinated with the breath. One movement is flowing into the next with nice and calm rhythm like a “meditation in motion”. A logical sequence of asanas produces effects on the body, mind and soul such as detox and purifying, increase of energy, focus, calm, self- acceptance, strength and much more. The class is open to all levels and abilities. Mats are provided. A weekly themed flow incorporating breathing exercises, a warm up, the themed flow and relaxation to end. An introduction to breathing practices, postures and relaxation. The postures are taught in a flowing style with focus on the transitions as well as the postures themselves.